An economical, A Rated Combination Boiler. 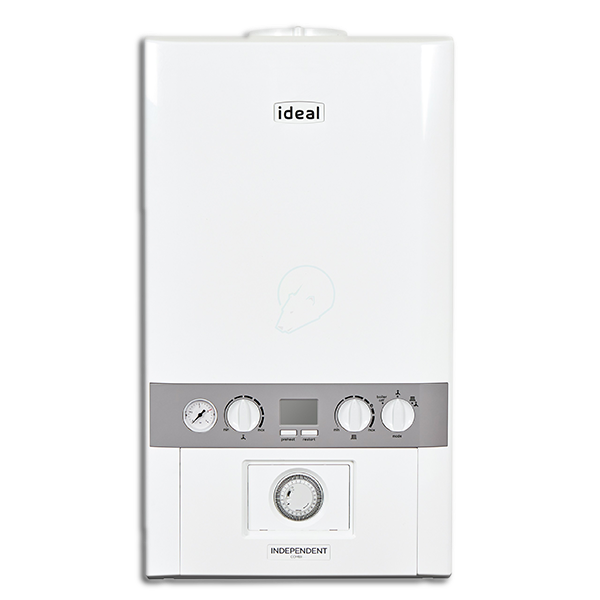 The Ideal Independent is a popular choice for homeowners with with it's A rated performance and long manufacturers warranty on parts, you can feels safe in the knowledge that your heating and hot water will benefit from excellent performance. Look no further than Panda Gas Services, for your boiler installtion and plumbing needs in Waterlooville. A combination boiler (combi) is compact unit coupling both a highly effecient water heater and a central heating system. Quickly providing hot water to your taps and also heating your radiators, no hot water cycliner is required, meaning it is the perfect system for saving space in your home. Here at Panda Gas Services we guarantee our work is to the highest standard as befitting of a plumbing and heating company with over 15 years experience fitting and fixing central heating systems in residential and commercial properties. In an emergency situation parts are not always available but we will create a temporary fix and provide you with an appointment and price to guarantee your heating will be working as soon as possible.